Take Exit 33 from I-20 for Haughton/Fillmore. Go south on Highway 157. Turn left at McKinley. Arena is on the left right after Placker Lane and before the fire station. 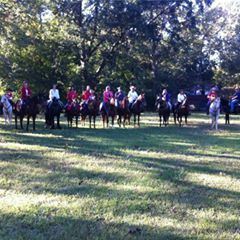 Outdoor pen and riding club in Haughton, Louisiana. Primarily used for play day events and barrel jackpots.